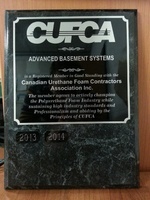 Advanced Basement Systems is CUFCA Certified. This means that our installers are up to date on the most effective and efficient foam applications and all other standards and safety regulations. It also allows us to spray CUFCA grade foam. The foam of choice for our company is Polar Foam. Belal Hashim volunteers his time when able to the local Habitat for Humanity. Advanced Basement Systems has also contributed supplies, manpower and products to HFH projects. London Executives Association was established in 1934 with a simple belief "the people we know are the people we trust." Advanced Basement Systems is a proud member of this non-profit association and joined because the LEA and each member are dedicated to fostering the highest level of ethical customer services. 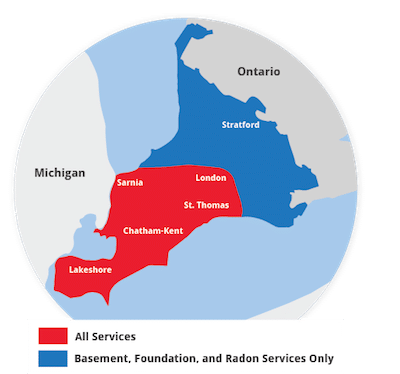 National Radon Defense is an international network of radon professionals working to provide radon solutions for their customers. As a member, Advanced Basement Systems receives on-going training to ensure high-quality results and customer satisfaction. 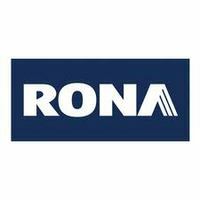 In the 1990s, RONA became a leader in sustainable development when it made a commitment to minimize its environmental footprint, in particular by implementing one of the Canadian industry’s first paint recovery programs. This was followed by the adoption of life cycle assessments, the responsible sourcing policy and in-store promotions of environmentally friendly products, to name just a few concrete measures we have taken to ensure sustainability, and reaffirm our commitment to the environment. Since 1983, ATW Automotive Services has provided motorists in the Chatham, Ontario area with comprehensive auto repair services. Diesel specialists and gasoline repairs. 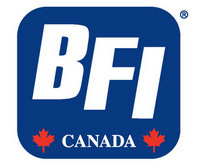 BFI Canada Waste Management strives to be the premier provider of environmentally responsible waste management services. We have been providing Canadian residences service excellence in waste management for over 25 years. Cintas provides uniforms and apparel, restroom supplies, and safety mat service, as well as first aid, document management, and fire protection services. Founded in 1955 as Windsor Factory Supply and based in Windsor, Ontario, WFS offers customers more than 100,000 products with a focus on safety, metalworking, plumbing, and hand and power tools. We have been a member of this Chamber for many years. We have won the Service Company of the Year Award in 2010, as well as being Finalist for Large Company of the Year as well as other nominations. 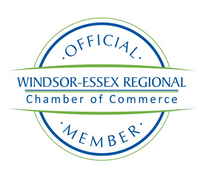 We are a proud member of our local Chamber. In 2011, we won the Business of Excellence Award from this Chamber of Commerce and the 2013 Entrepreneur of the Year Award. In 1936 a group of Leamington businessmen got together and formed the Leamington and District Chamber of Commerce. The first President was Mr. Alf Bennie who operated the local Lumber Company. In 1964 it was incorporated under the presidency of Mr. T.D Smyth of the H.J. Heinz Co.
We have been a member of London's Chamber for a number of years and in 2011 we were nominated for a Business Excellence Award. Since then, we have expanded and opened a small office in the city of London. 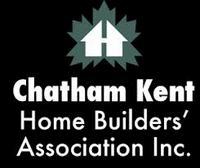 The Chatham-Kent Home Builders Association Inc. is a local non-profit Professional Association. We were chartered over 50 years ago and are affiliated with our 2 senior organizations, the Ontario Home Builders Association and the Canadian Home Builders Association. Our members are directly involved in over 80% of all new construction in our community. Our Association is also very involved in supporting our community and has contributed in excess of $390,000.00 to support local needs.